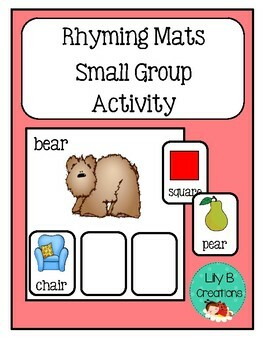 This unit is designed to make your small group intervention fun and simple. The skill that is covered is rhyming words. 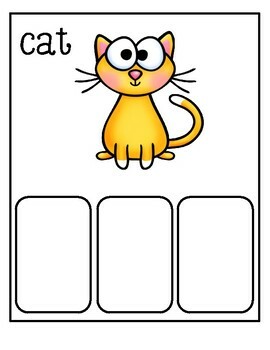 You will display the cat rhyming mat in front of your small group, along with the 18 cards. 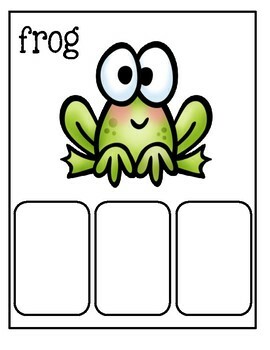 Tell the children that they are going to help you find 3 cards that rhyme with the picture on the mat. Hold up a card. 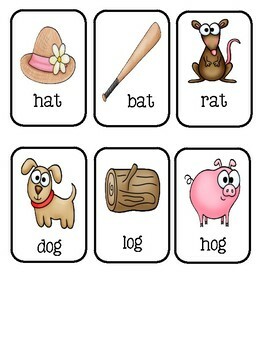 Does this picture rhyme with cat? If it does place it on one of the squares, if it does not place the card back onto the table. When all 3 cards are found, continue on with the next mat. There are 6 large mats and 18 cards.